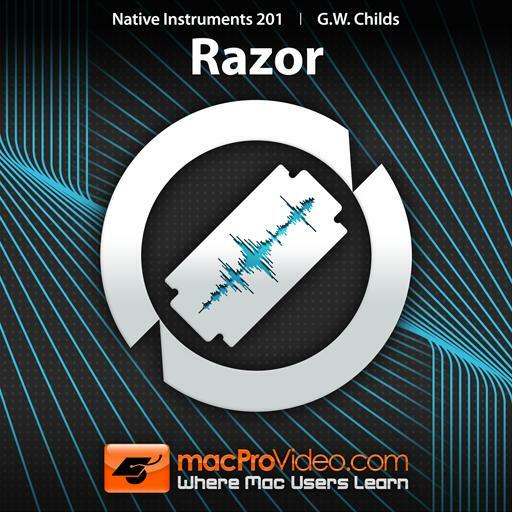 Native Instruments 201 - Razor. To use Razor as a vocoder, its Sidechain function must be engaged. True or false? In the Filter controls, try boosting the ___________ higher for added aggression and whistle. True or False: Engaging the "3D" button within the Visual Display can significantly increase Razor's load on your CPU and therefore it can be helpful to disengage this feature. ___________ is required to use Razor. How is the Reverb Synced different from the other reverb? Which of the following is not available as an Oscillator Type? The order of the filters in Razor can freely be switched between series and parallel configurations. True or false? Which section of Razor is the only section that is not truly part of the Sine Bank ? The Duo Saw oscillator simulates two simultaneous sawtooth waveforms. True or false? Razor's Oscillator section and Filter section both have a 'Formant' mode available. True or false? The global parameter, 'Quality' should always be set to HIGH. True or False? How can you load an initialized patch in Razor? Where is the 'Vowel Crossfader' found? Which of Razor's sections is good for getting back the volume you could lose with the Spectral Clip? What does depressing the State button on the left-hand side do? The same filter types are available for Filter 1 and Filter 2. True o false?